A lifetime member of the Suzuki Association of the Americas, Kathy Hanse has been teaching violin for over thirty years. Kathy counts it a privilege to have met the late Dr. Shinichi Suzuki during a teacher’s conference in May of 1988, in Chicago at which he was a keynote speaker. Kathy is thrilled to have studied with Alice Joy Lewis, Janet Bogart, Craig Timmerman, Doris Preucil, Mary Kay Neal and the late Louise Behrend at Suzuki Institutes in Montreal, Blue Lake, Chicago, Fort Worth, Columbus, Washington, D.C., Stevens Point, and New York City. Kathy’s first teacher was Patrice Chandler, who taught her pieces from the Suzuki repertoire, together with folk songs and hymns. Back when she was attending Calvin College in Grand Rapids, Kathy was inspired by hearing a touring group of over one hundred Suzuki students of varying ages playing memorized pieces. Kathy chose Dr. Suzuki’s approach for teaching her own violin students. 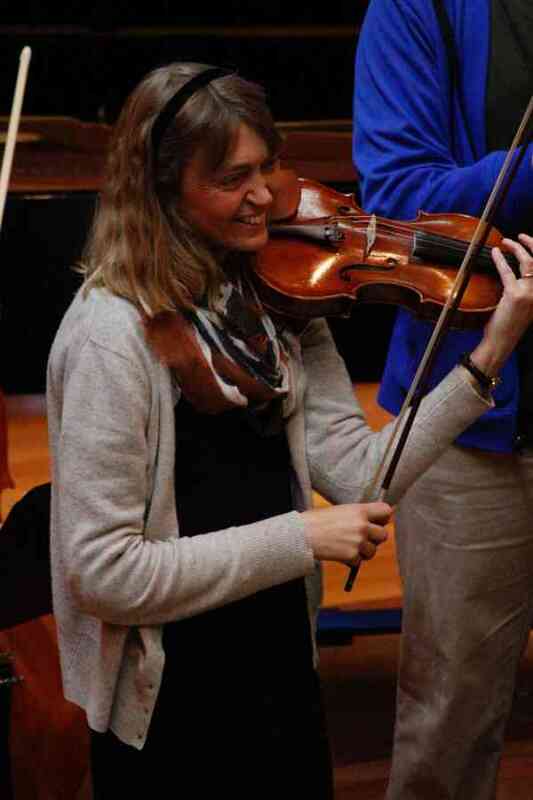 After graduating from Calvin, Kathy taught violin students in northwest New Jersey using the Suzuki method. Since 2012, she has been president of the Northeast New Jersey Suzuki Association, (NE NJ Suzuki Assn), which hosts an annual festival each spring in Ridgewood. See the NE NJ Suzuki Festival Facebook page. Kathy coaches a string ensemble of the North Jersey Home Schoolers Association. She teaches homeschool students violin lessons and group classes. Kathy plays violin with the Oratorio Orchestra at West Side Presbyterian Church. She and her husband have three adult sons.